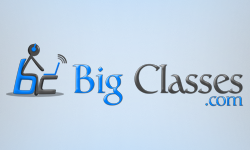 BigClasses is the one of the best global IT training organization which provides absolute quality of ASP.NET online training. We provide ASP.NET training to our learners anywhere and anytime. ASP.NET is..
What is ASP.NET? It is a server-side web application framework. It is designed for web development specially to make dynamic web pages. ASP.NET is built on the Common Language Runtime (CLR),..